The first Latvian to play at a World Championship is the latest member of Team Unicorn! 29-year-old Madars Razma was rewarded with a two-year deal at Unicorn in the Global category after impressing Managing Director Edward Lowy. "Madars has already made a splash on the oche and he made an impression with me when he approached me about possible sponsorship with Unicorn," Mr Lowy said. "We are delighted to have one of the best players from Eastern Europe on the team and we will do all we can to help Madars go from strength to strength. He has done it the hard way that's for sure, but we like the way he goes about his business." Razma hit the spotlight by clinching a place in the top 32 in the BDO rankings and the top 10 of the WDF. 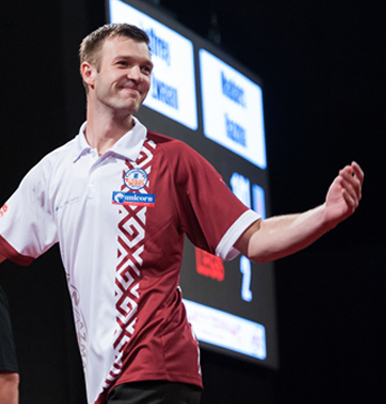 The three-times Latvian Champion realised his dream of playing at the Lakeside. He qualified from a big field, then beat John Michael in the preliminary round before he was edged out by Geert de Vos in the 1st Round. But he was at the Lakeside on merit…..Razma also reached the last 32 of the World Masters where again he lost to De Vos. But it is all about achieving and improving and the Latvian star is aiming high. 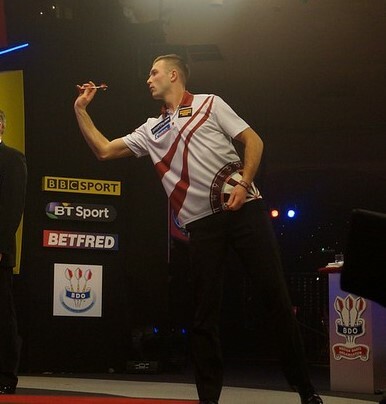 He also qualified for the Daily Mirror World Trophy in Blackpool but lost 6-3 to Rick Hofstra in round one. Razma has won many singles titles over the last few years - one of the highlights was a terrific victory over Ron Meulenkamp to win the Finnish Open. He has been playing with Unicorn darts for the last five years and his chosen tungsten weapons are Raymond van Barneveld signature darts!